Please ensure all required fields have been populated! Fill out the form below and our Customer Care Team will contact you. Our friendly Customer Care Team is eager to help provide you with solutions and to ensure you have the best possible Online Metals experience. Have a question? Find answers to frequently asked questions quickly on our FAQ page. With six warehouses nationwide you can expect fast shipping and your materials to arrive quickly. Or skip the shipping and pick up your materials from Will Call for free. Find a Will Call Location near you. 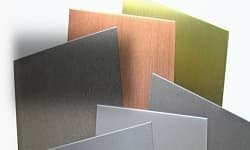 Get inspiration for your next project,tips and how-to's for working with metals and plastics, the latest industry buzz and special Online Metals promotions and rewards. Can't find what you need? we welcome special orders and personalized quotes for any materials. Use the Fast Quote tool to get a custom quote. Receive monthly member discounts. Get updates on sales,new products,and advances we're making to improve your experience - saving you time and money. Sign up for Online Metals Email Rewards. Earn +10% with a brand your customers trust. Learn about our Affiliates & Partners program. we make payment fast and easy and even offer credit accounts. Apply for an Online Metals Credit Account. How are we doing? Share your Online Metals experience-take our customer survey. Your information has been submitted and an OnlineMetals.com representative will be in touch shortly.